When Idalis Forté walked onto Fort Valley State University’s campus for the first time as a freshman, she already knew she wanted to make a difference. She hit the ground running, convincing her peers to elect her Freshman Class President. Later she would become Sophomore Class President and then Student Body Vice President. Now, as Student Government Association President, Forté believes that her potential to affect positive change is only limited by her imagination. She wants to enhance school pride, create memorable events, and upgrade campus landscaping and building decor. She has no doubt she will succeed, having fundamentally concluded that a person’s ultimate success is equal to the force of their will. And in Forté, the force is strong. “When you want to succeed as much as you want to breathe, you will never fail,” she says. Though she has seven brothers and sisters, she is the first in her family ever to attend college. After her father passed at a young age, she began to believe that everything happens for a purpose and started to view the obstacles she had to overcome as a way to grow stronger. She could honor her father’s life, she reasoned, by succeeding in hers. She redoubled her focus on success, standing out as a high school basketball player and attending radio, media, and leadership camps. Now, pursuing higher education, she hopes her achievements would make her father proud. 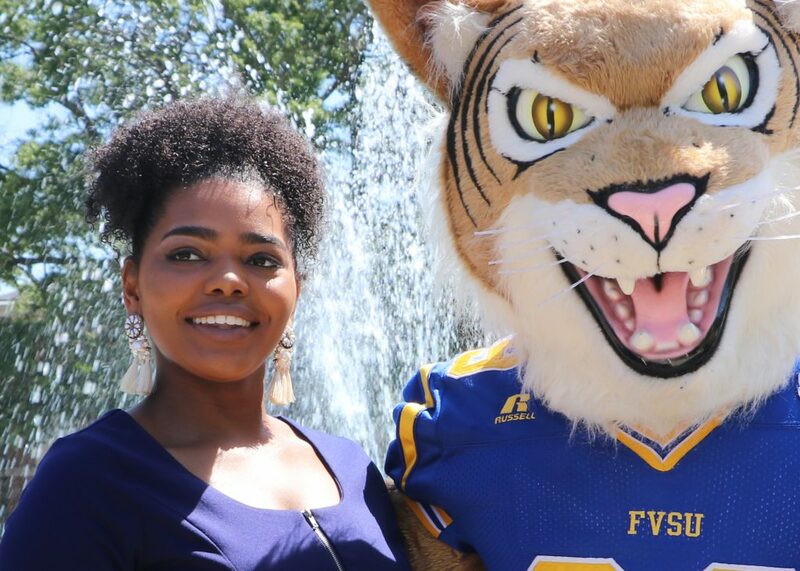 At FVSU, she has found an extended family. 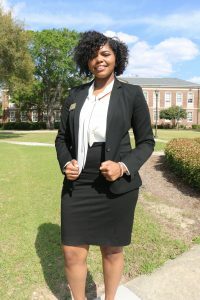 At FVSU, she has found power her in creativity, and excels in her marketing, photography, and mass communications courses. As active as she is on campus, she has also found time to give back to the community. She enjoys working with children and the elderly, and volunteers at the Boys and Girls Club. She recently launched the “Little Free Library” initiative, an effort to promote literacy in which she hopes that people will donate books for children to take home and read. She also tutors children at her church. Forté is the embodiment of tenacity.